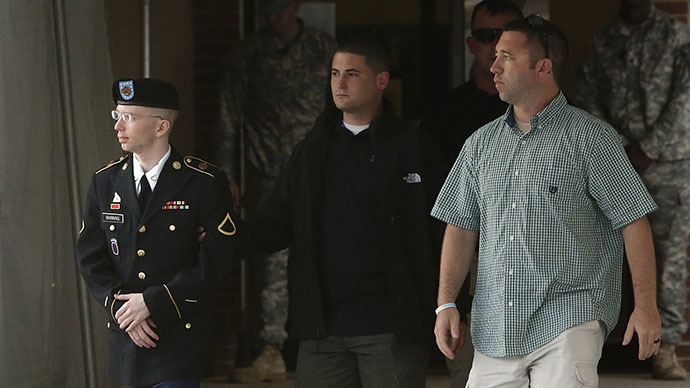 A military judge said early Thursday that she would not dismiss charges of theft against Army Private first class Bradley Manning. The soldier is expected to be sentenced next week for the largest intelligence leak in United States history. Col. Denise Lind ruled from Ft. Meade, Maryland Thursday morning that she must reject the defense’s plea to acquit Pfc. Manning on five charges relating to the alleged robbery of government documents. Manning, 25, has been charged with nearly two dozen counts related to his admitted role in sending sensitive files to the anti-secrecy website WikiLeaks while deployed as an intelligence analyst in Iraq. Last week Col. Lind dismissed a request to acquit Manning on the charge of aiding an enemy, an allegation that could land him in prison for life if found guilty when the sentencing phase commences next week. Among the 21 counts against Manning are allegations the soldier stole, purloined or knowingly converted information. The government has charged him with five counts of violating 18 USC § 641, one for each of the five tomes of data he admitted to sending to WikiLeaks. If found guilty of stealing those databases — field reports from the Iraq and Afghan wars, Guantanamo Bay detainee assessment briefs, hundreds of thousands of State Department diplomatic cables and a global email address list for US soldiers — Manning could be sentenced to a total of 50 years in prison. 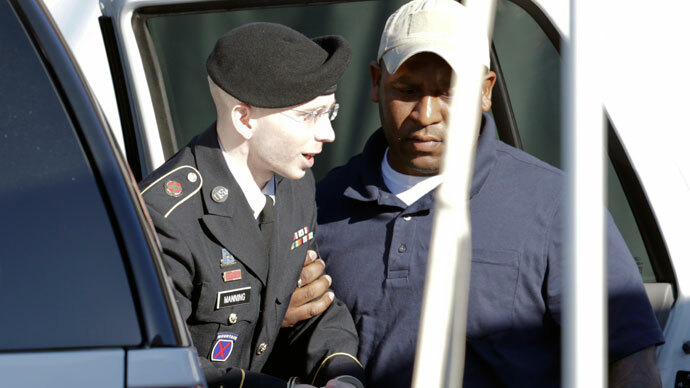 Defense attorneys for Manning hoped the court would acquit their client on the 641 violations in lieu of accepting pleas to lesser included offenses made by the soldier earlier this year. Last week, journalist Alexa O’Brien reported from Ft. Meade that Manning faces upwards of 154 years to life if convicted on all counts presented by the government. 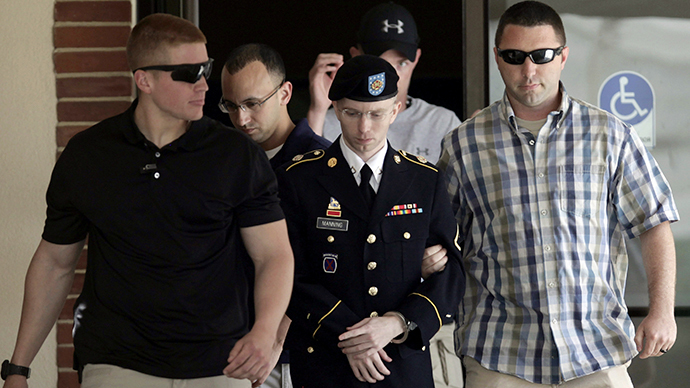 In addition to rejecting the defense’s motion to acquit, Col. Lind told attorneys for Manning that they could not move for a mistrial at this time since the prosecution was being afforded the opportunity to amend their charge sheet against the soldier. 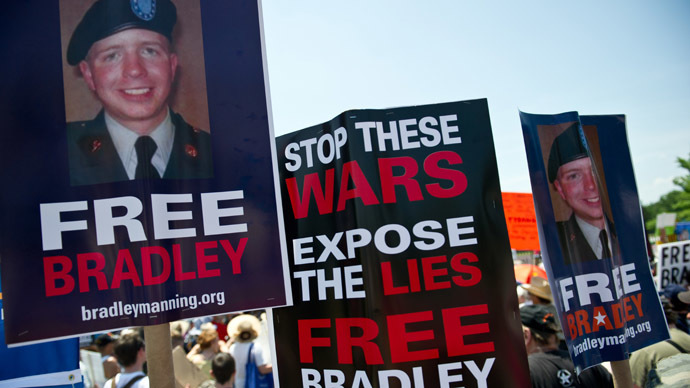 According to Nathan Fuller, a journalist reporting on the trial for the Bradley Manning Support Network, Col. Lind said the prosecution could change their charge against the private in order to allege him of stealing "portion[s] of" databases instead of full databases under 18 USC § 641. First the government, then the defense, is scheduled to present closing arguments Thursday morning into the afternoon. 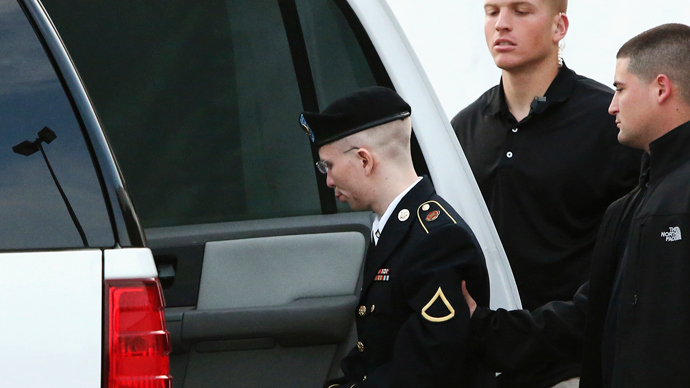 Manning’s court-martial could conclude as early as next week, ending a more than three-year-old ordeal that involved keeping the soldier in pretrial detention for more than 1,000 days, months of which were served in isolation. 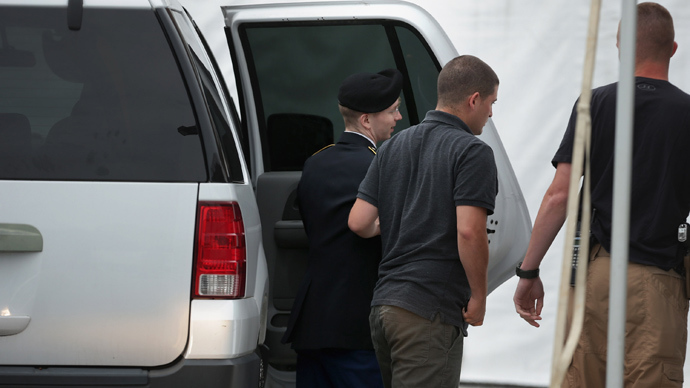 The defense previously attempted, unsuccessfully, to have charges dropped against Manning on account of the abuse he suffered during that confinement. Col. Lind agreed to take 112 days off of any eventual sentence.